Having proven your dough for the first time and shaped it, you now have to prove it for the second time. 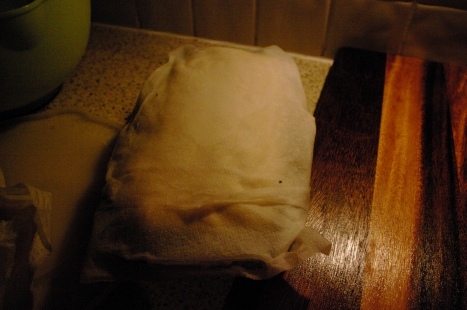 This is achieved by placing it in a warm, moist place, or by covering it with a damp cloth (either a tea towel or kitchen roll) and keeping it somewhere warm. At the same time you should prepare your oven which will need to be ready about thirty minutes after second proving starts. Again, I find the small oven on our double oven ideal, with a small bowl of boiling water adding the warmth and moisture to stop the dough drying out and forming a skin. This skin will lower the size of the dough by not allowing it to expand to its full size when placed in the hot oven to cook. If the dough is in contact with a cloth or paper towel, you may find it sticks, which can cause a slight collapse when you remove it. An alternative to consider is oiled cling film or plastic bag. The next step is to cook your loaf.